lower right in brown ink: hD. 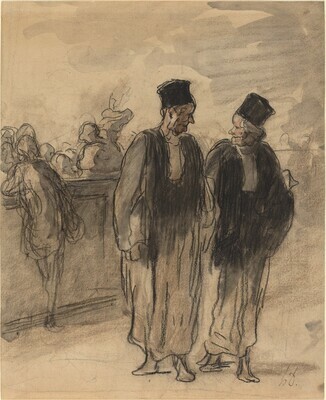 Paul Bureau, Paris; (his sale, Galerie Georges Petit, Paris, 20 May 1927, no. 78); acquired by (Hugo Perls Galerie). Myron A. Hofer [d. 1963]; gift 1945 to NGA. NGA Master Drawings 1978, p. 96. Walker, John. National Gallery of Art, Washington. Rev. ed. New York, 1984: 680, no. 1092, color repro.